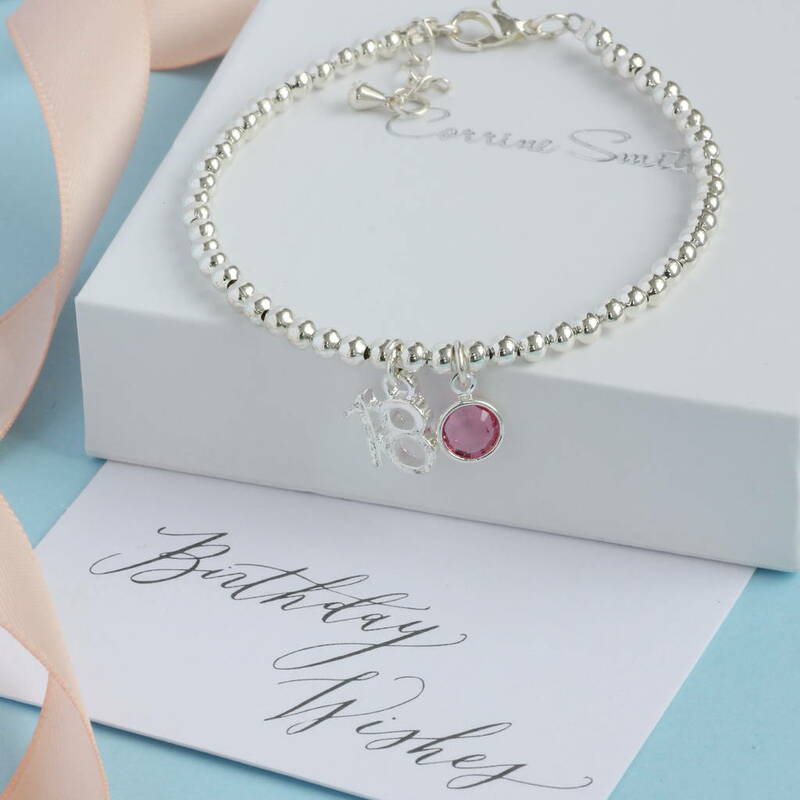 A beautiful, silver beaded 18th birthday charm bracelet. 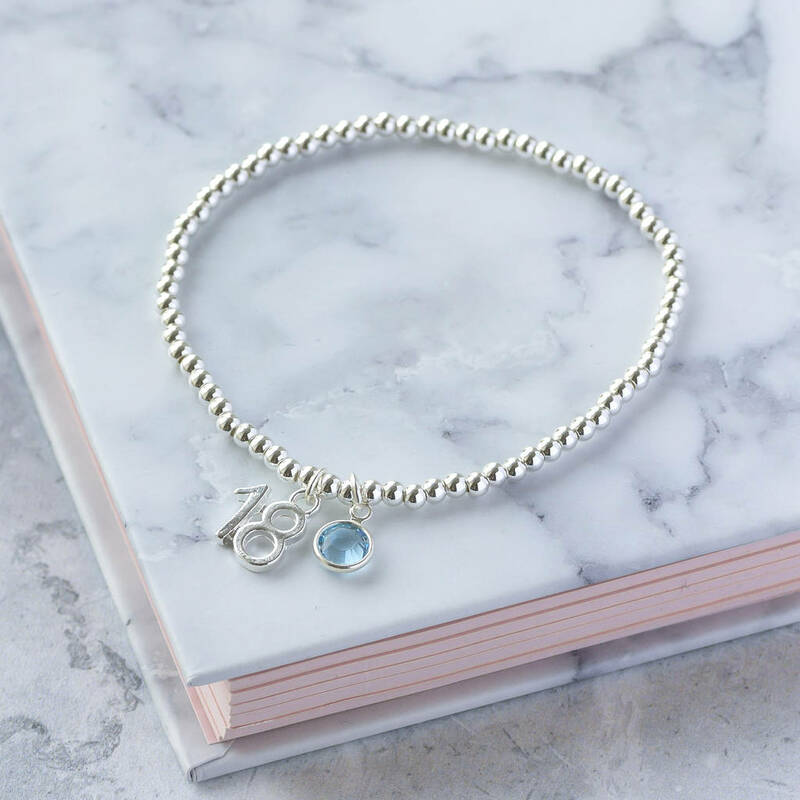 This pretty little bracelet is handmade with 3mm silver plated beads. 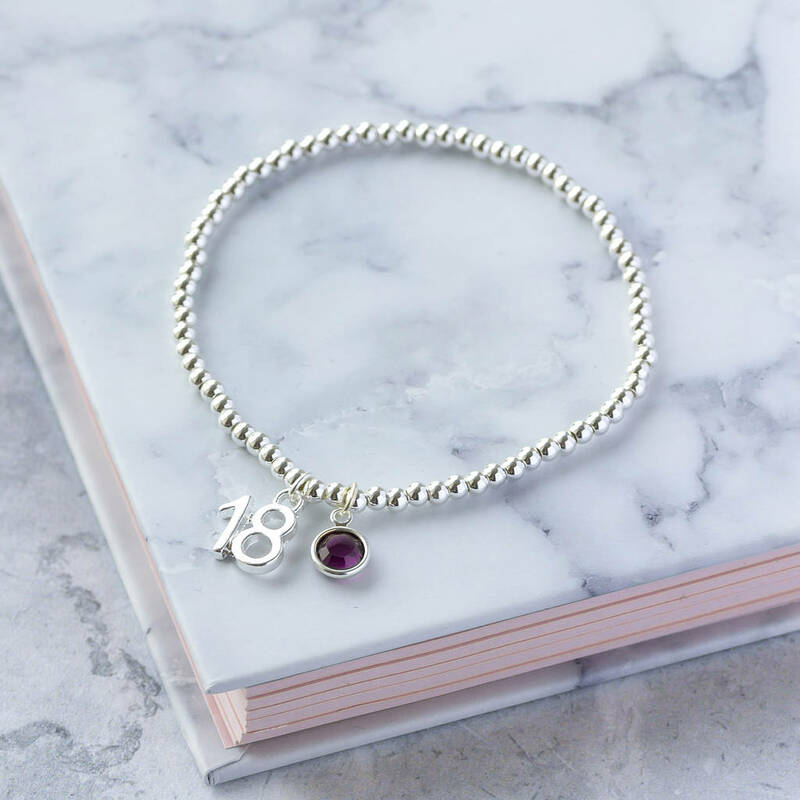 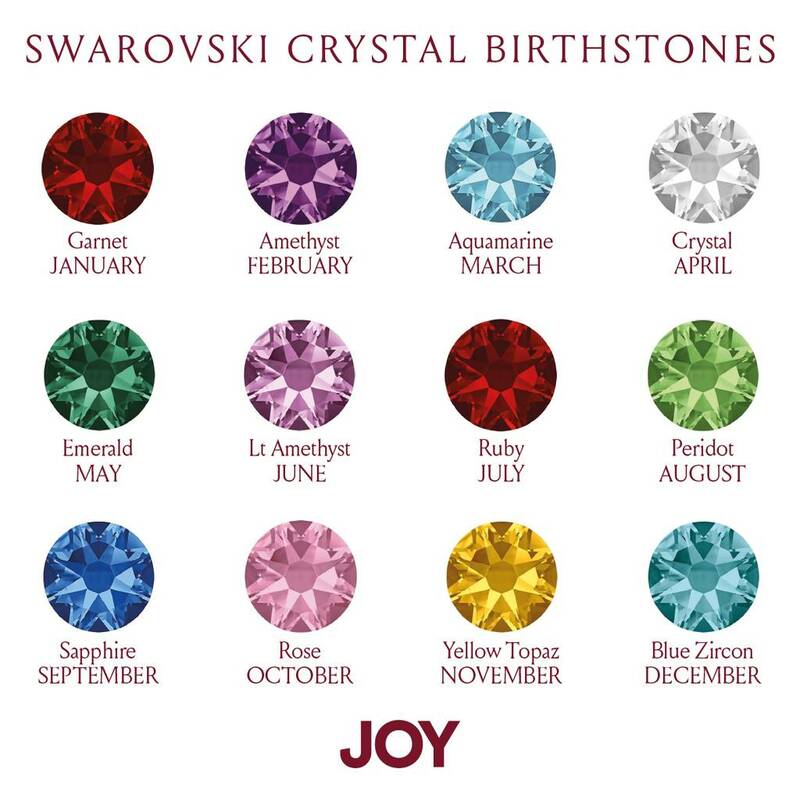 An '18' charm and a Swarovski crystal birthstone of your choice are placed at the centre of the bracelet. 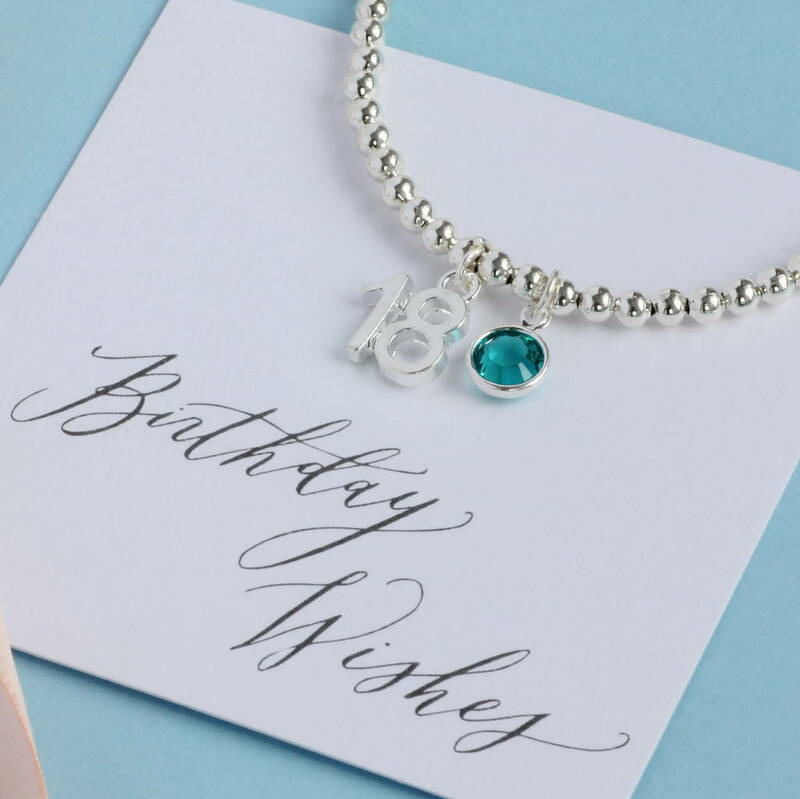 The bracelet would make the perfect 18th birthday gift for her. 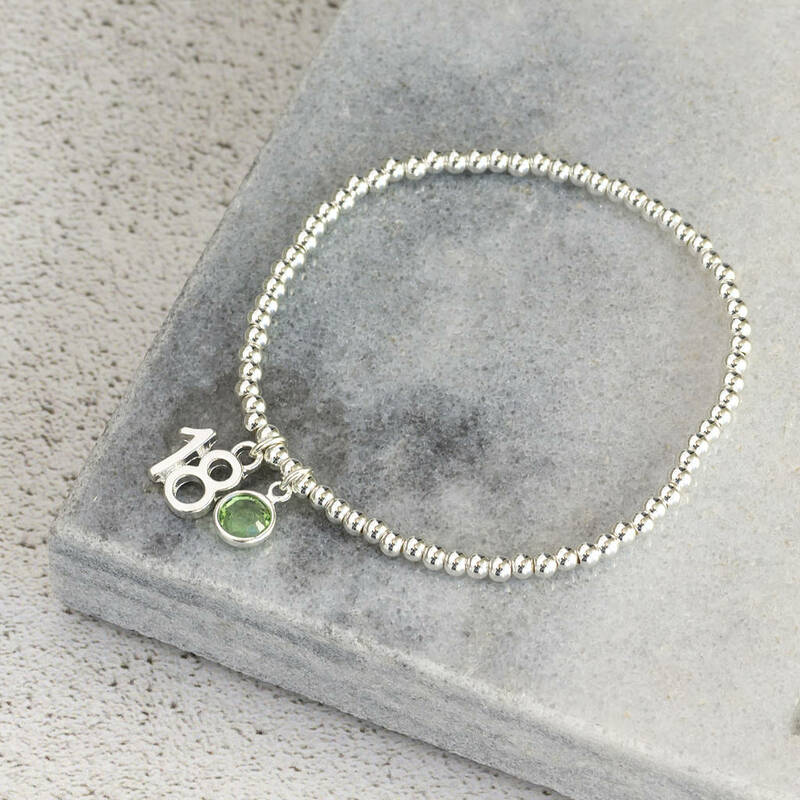 Bracelet is one size streych adjustable. 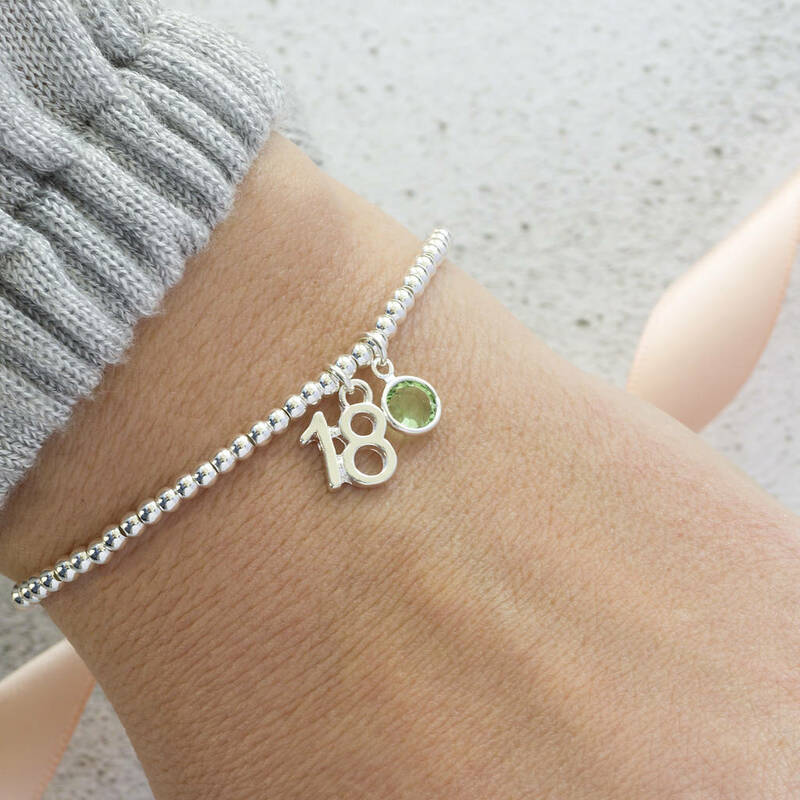 18 charm measures 1.2cm x 1cm.